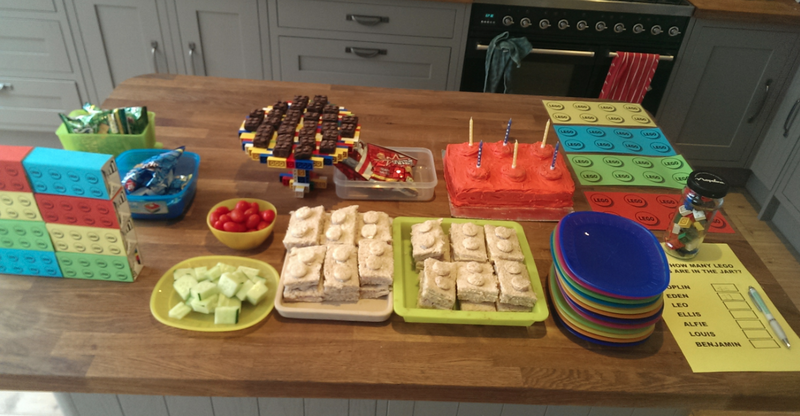 JJ wanted a Lego party this year for his birthday! 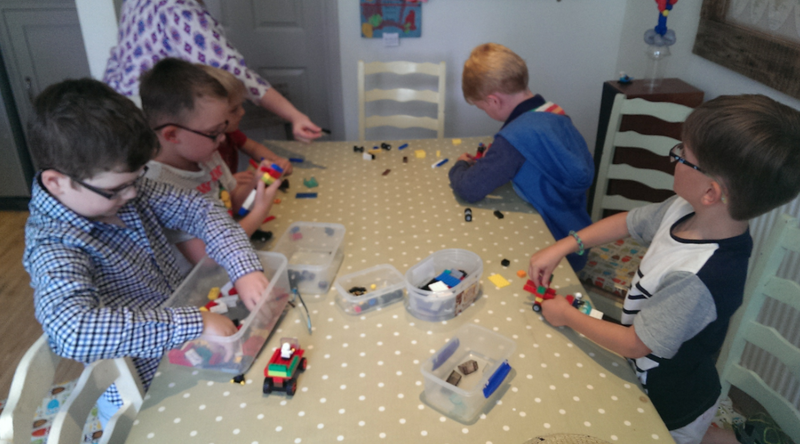 We decided to keep it small - ideally to be able to comfortably all build together around the table so we invited just 5 of his best school friends. 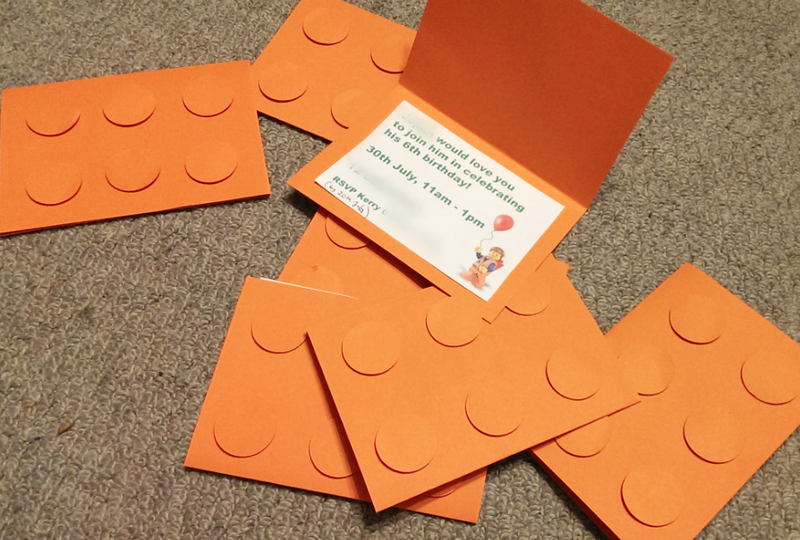 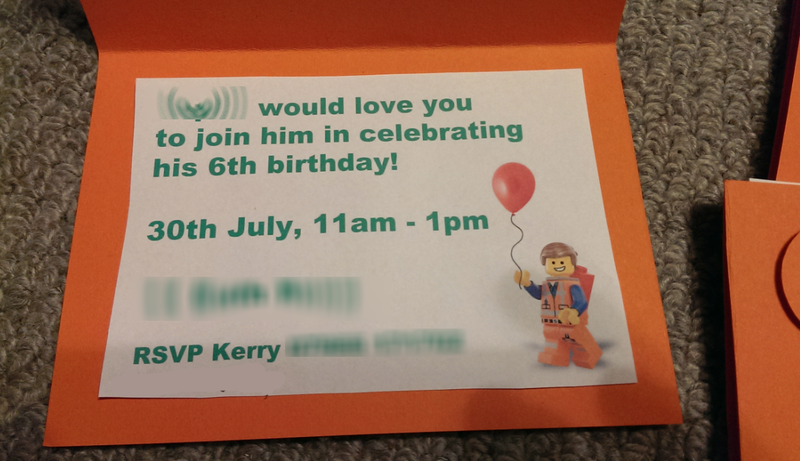 Both boys helped me with the invitations and we had quite a production going with the cutting of circles and sticking in a 6 nobble Lego brick shape, with sticky tabs helping the nobbles slightly raise. 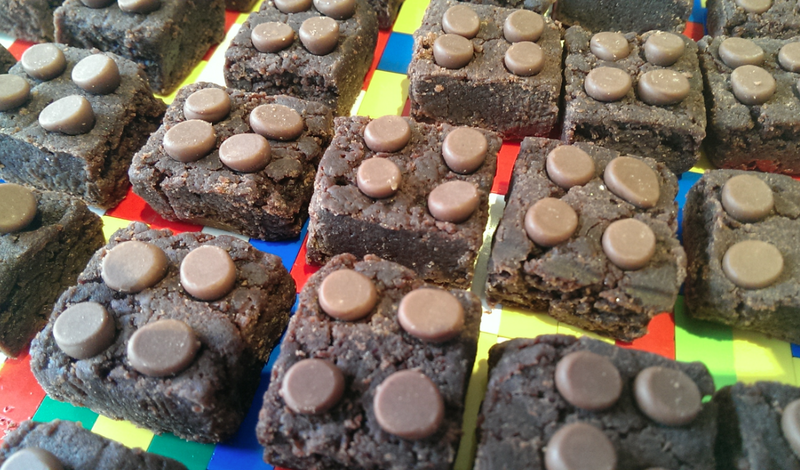 I cheated a little with the brownies with shop bought mini ones but 'legoed' them up by adding choc chips to make a 4 square brick. 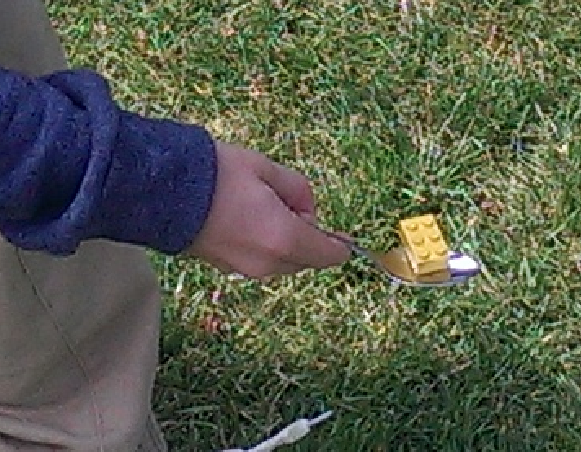 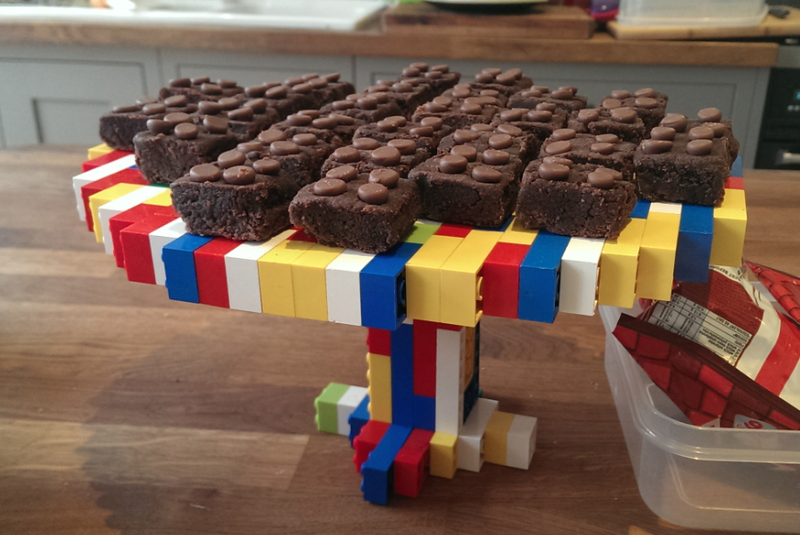 I had tremendous fun making the lego cake stand!!! 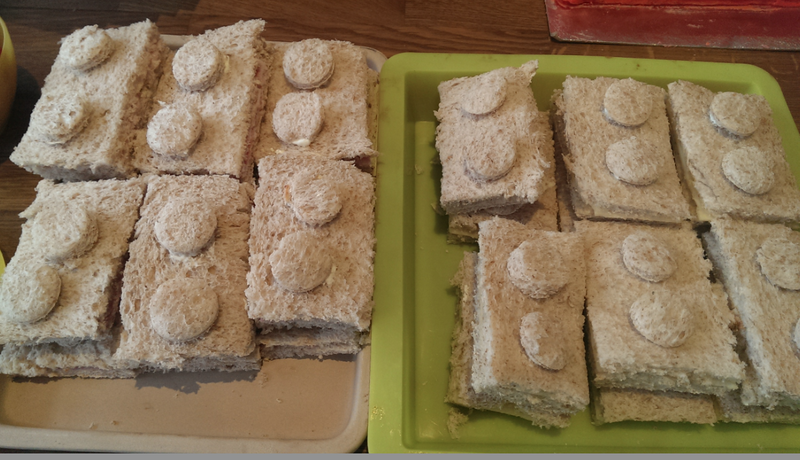 Sandwiches were of course lego bricks with circles of bread cream cheese glued on top. 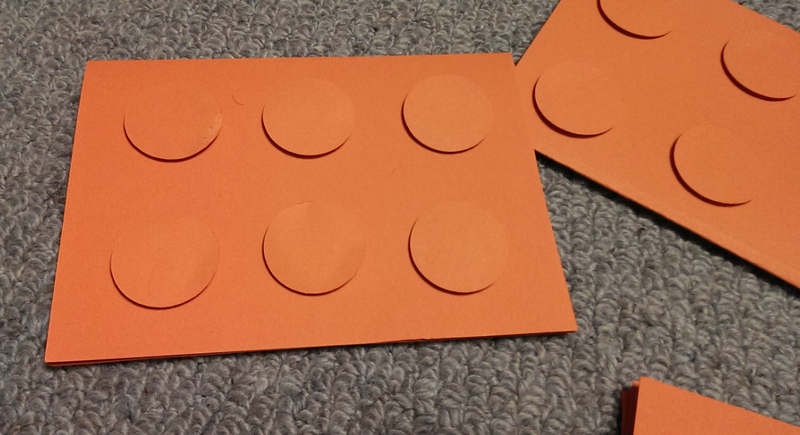 And I made a sleeve for rectangle cartons of juice to give the lego brick appearance. 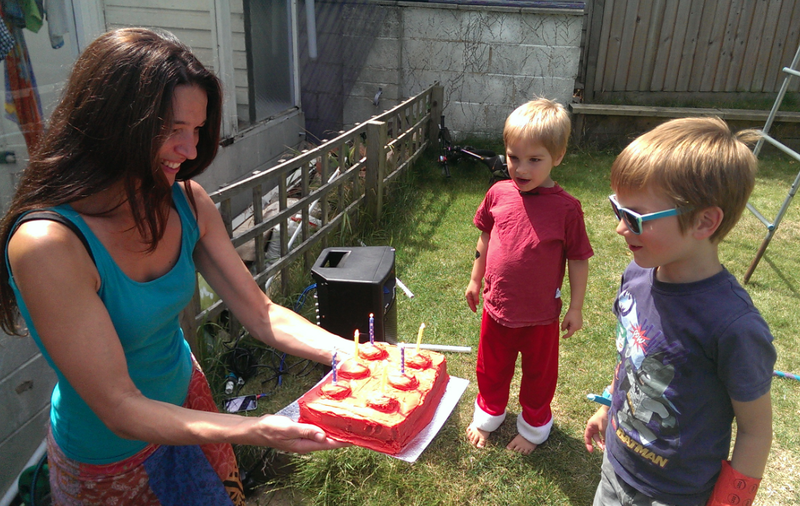 The cake was homemade - a basic rectangular victoria sponge with oreo cookies on top, iced with red butter cream icing. 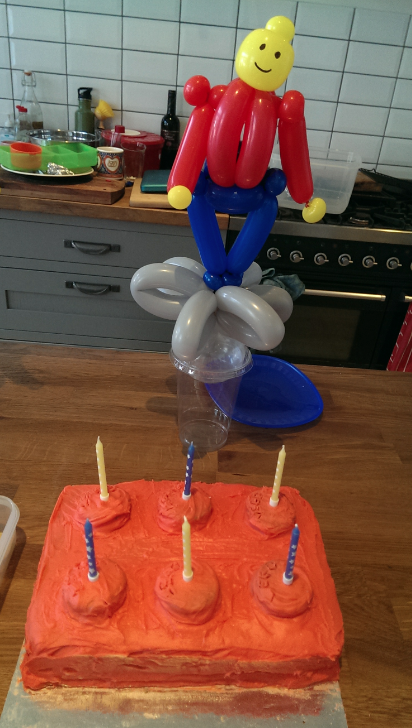 Slightly messy but they enjoyed it and it wasn't too much of a challenge for my rudimentary skills! 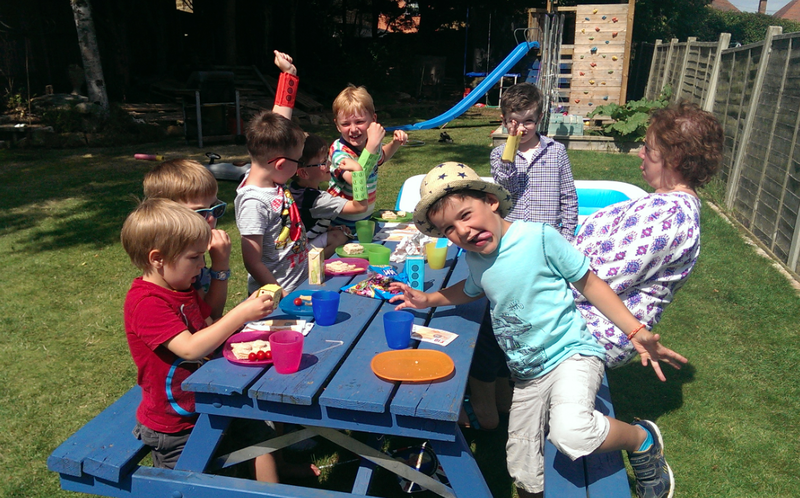 All the food went down a treat anyway! 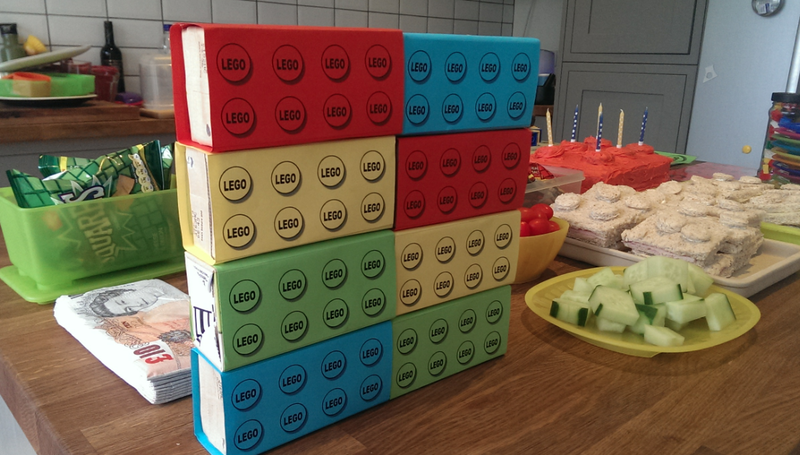 The juice sleeves became actual sleeves and lego arms were sported for the rest of the party! 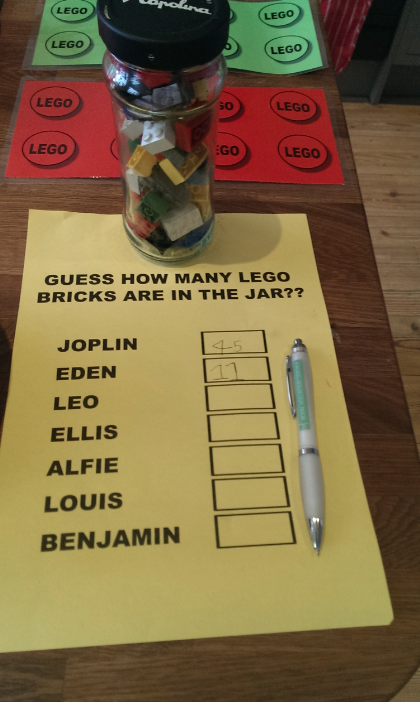 As the children arrived the first activity was to guess how many bricks in the jar. 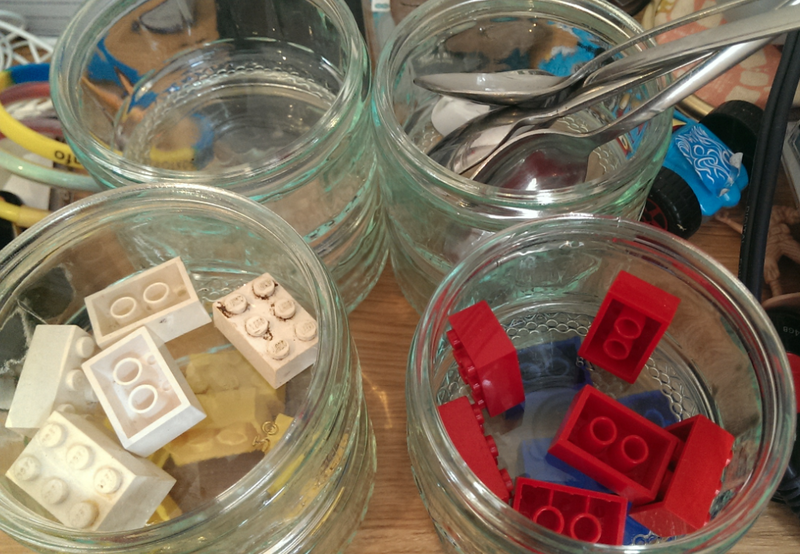 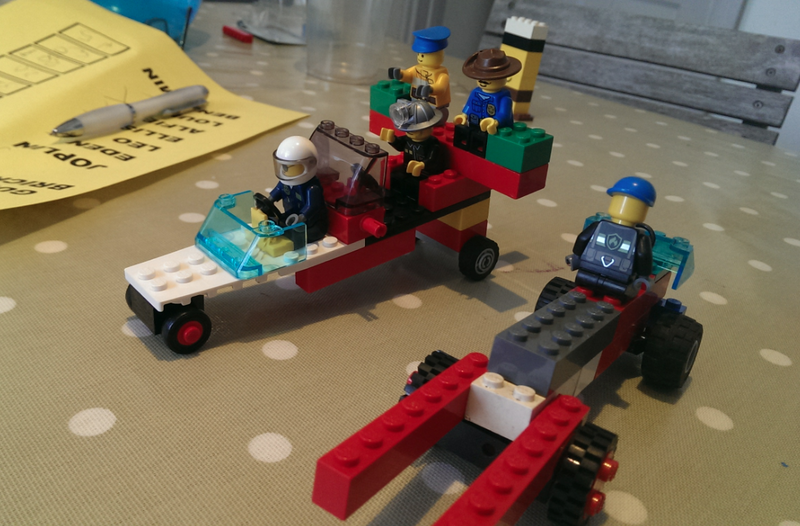 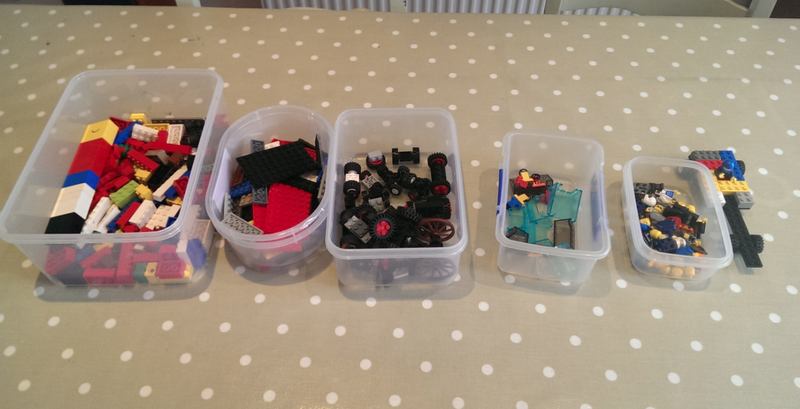 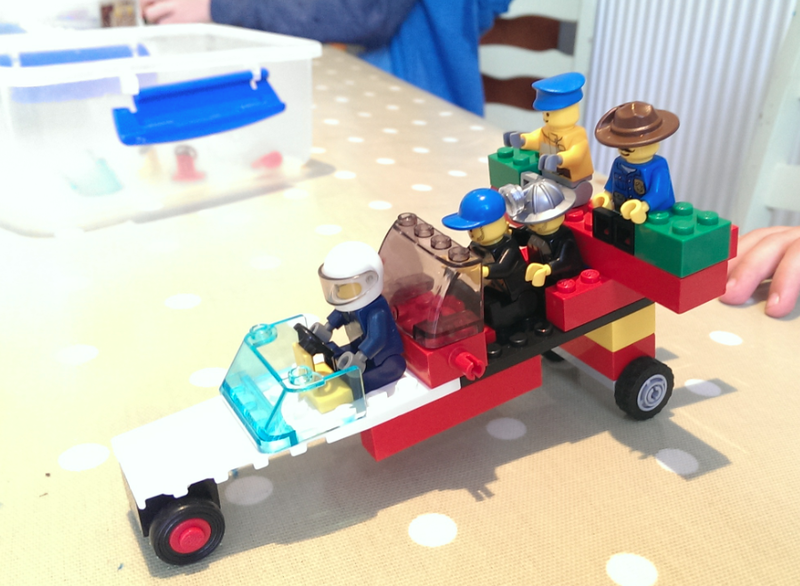 They were then invited to sit at the table where I had prepared different tubs of lego bits - wheels, bricks, flat plates, steering wheels and people bits. 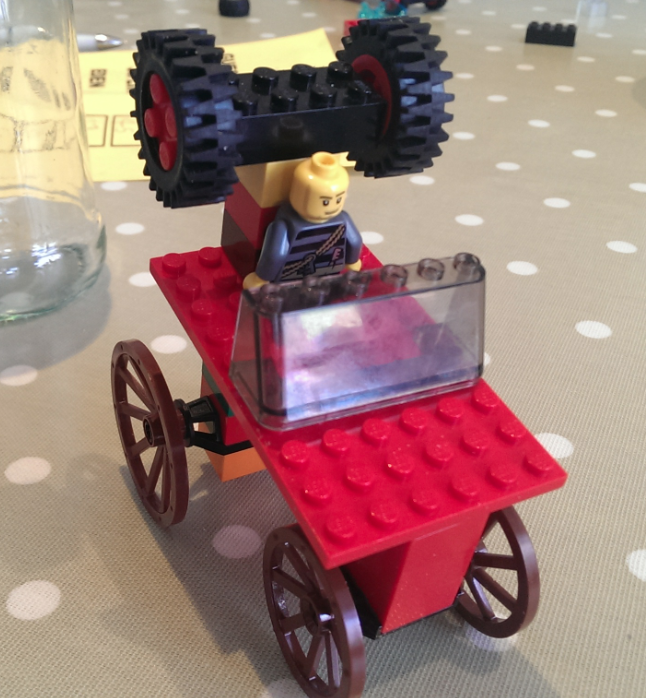 The challenge was to make a car which we would then race. 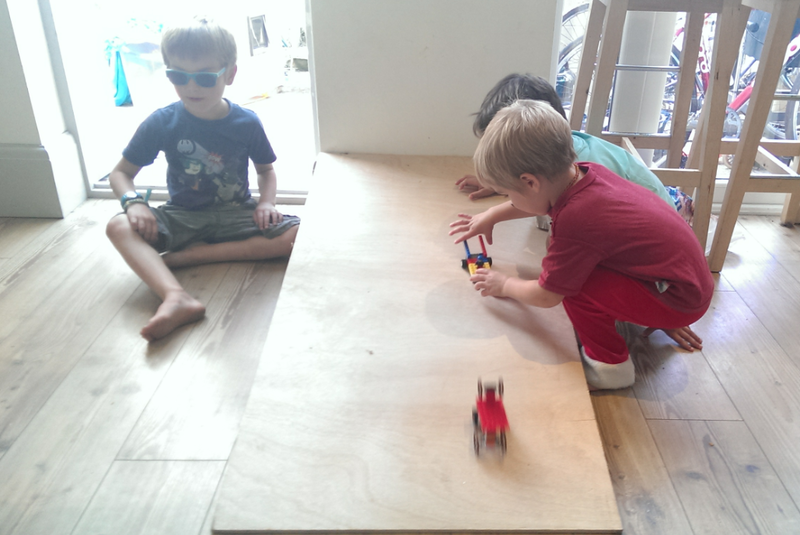 One at a time they let go of their car at the top of a wooden slope and we marked on the floor where the car stopped with their names written on masking tape. 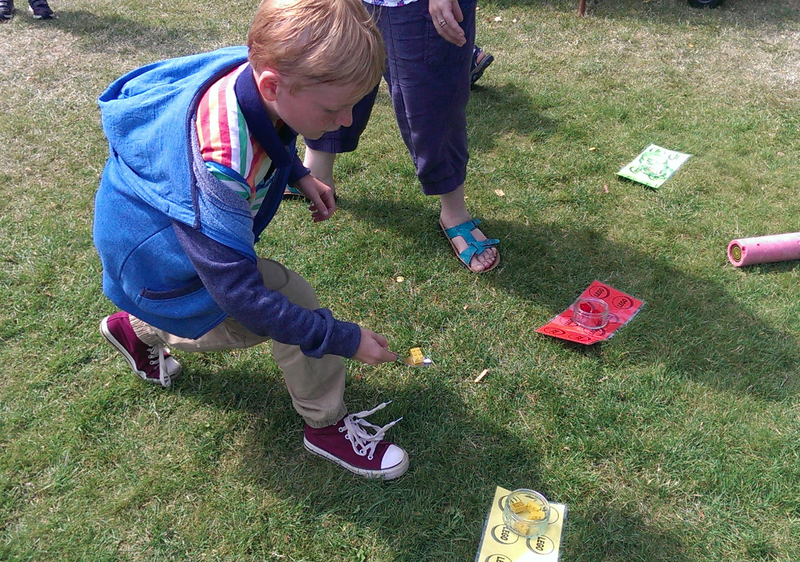 The winner used the excellent technique of bigger wheels and went the longest by far! 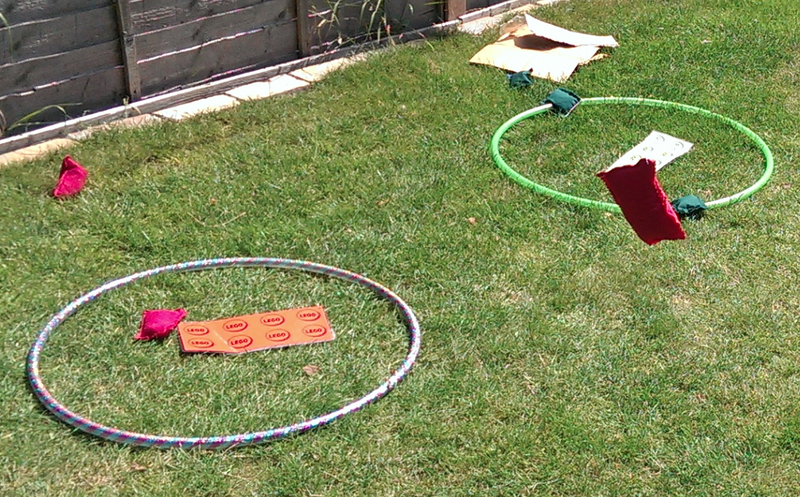 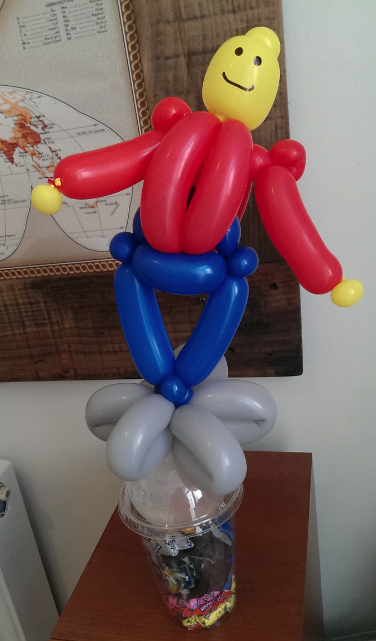 As well as a bean bag toss into hoops with different coloured cardboard lego shapes. 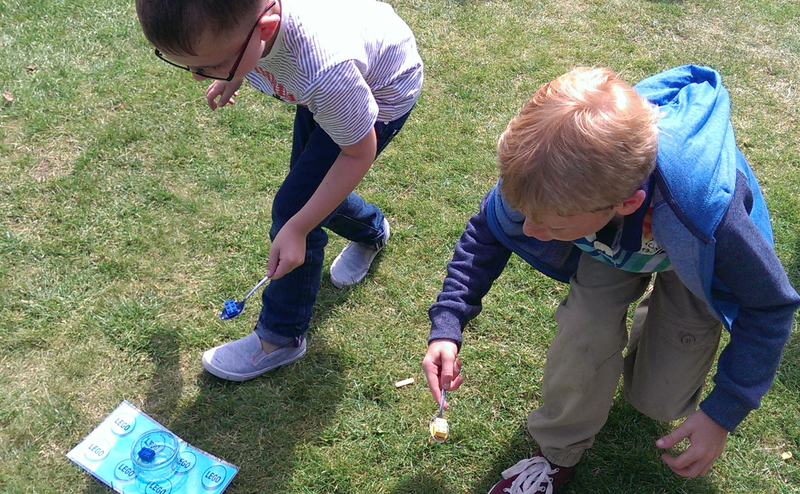 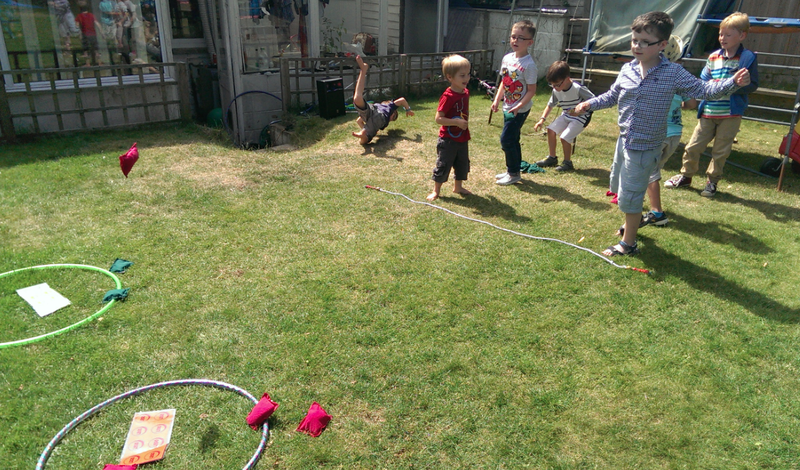 Along with pass parcel, corners game (with a spinner and again using the lego cardboard shapes at each corner ) and lots of free play in the garden it was great fun! 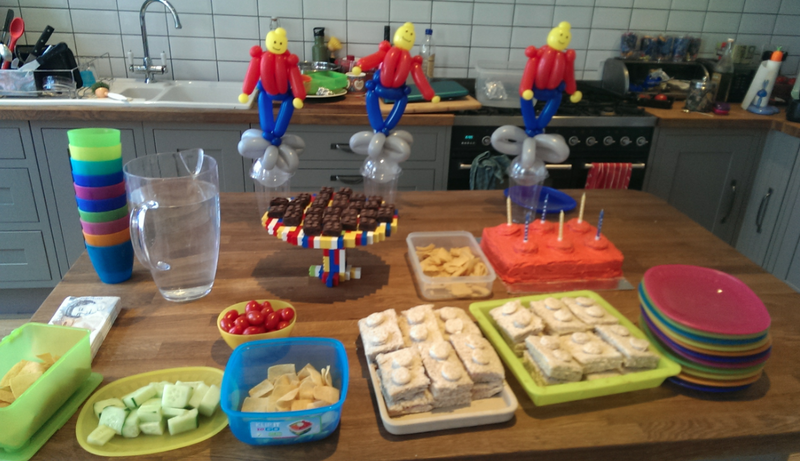 It was actually a very stress free party with very little prep too! 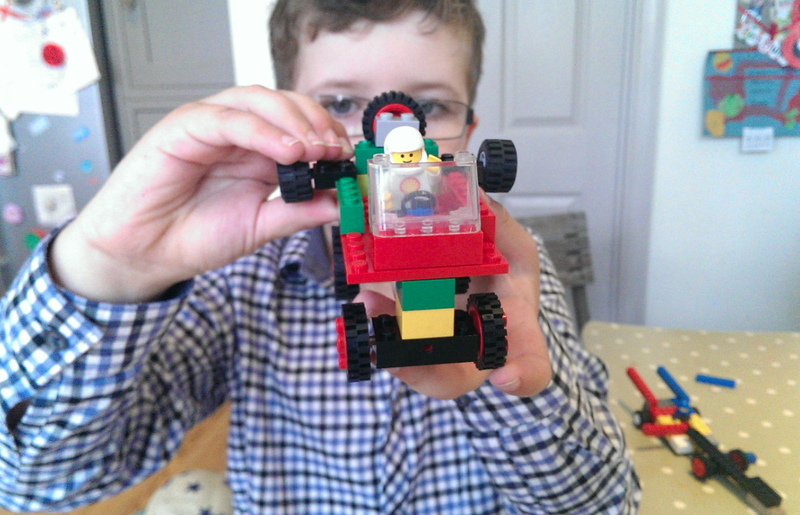 Can't beat lego!